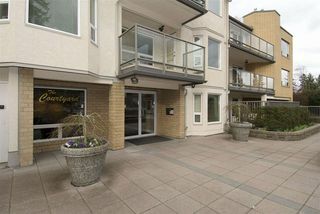 Welcome to The Courtyard. 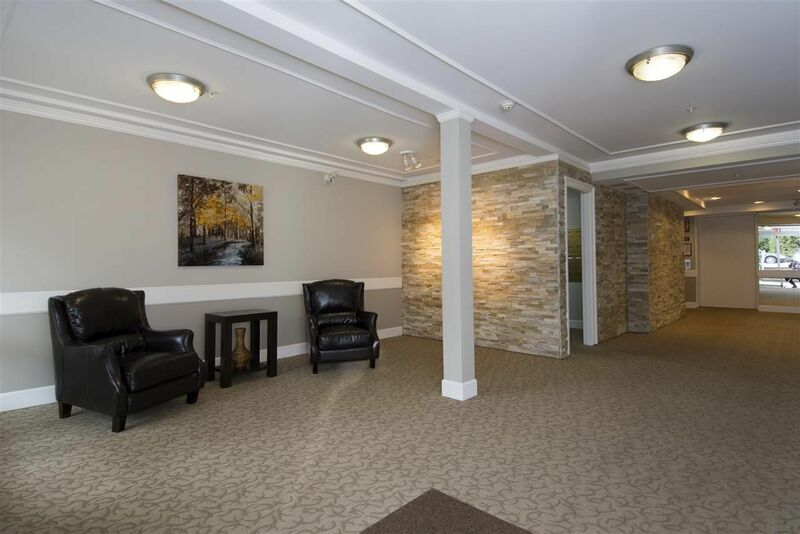 You'll love the unique layout of this building where each condo opens to the beautiful interior courtyard with gardens and water fountain. 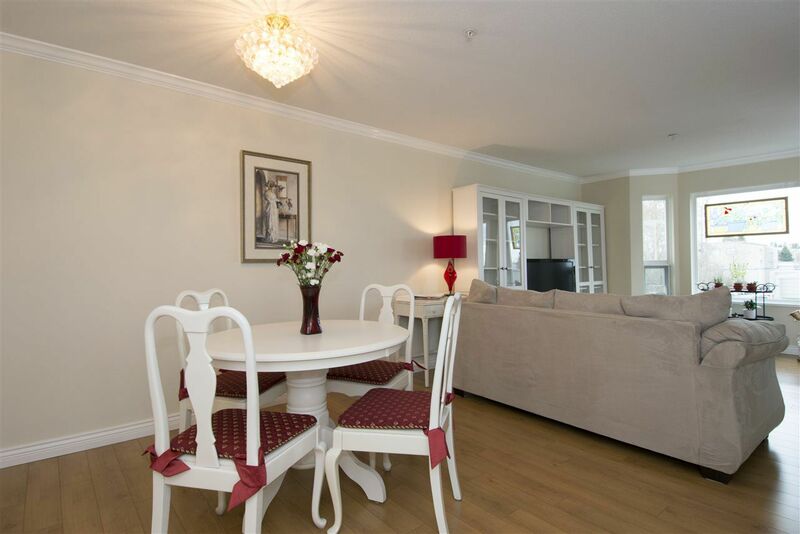 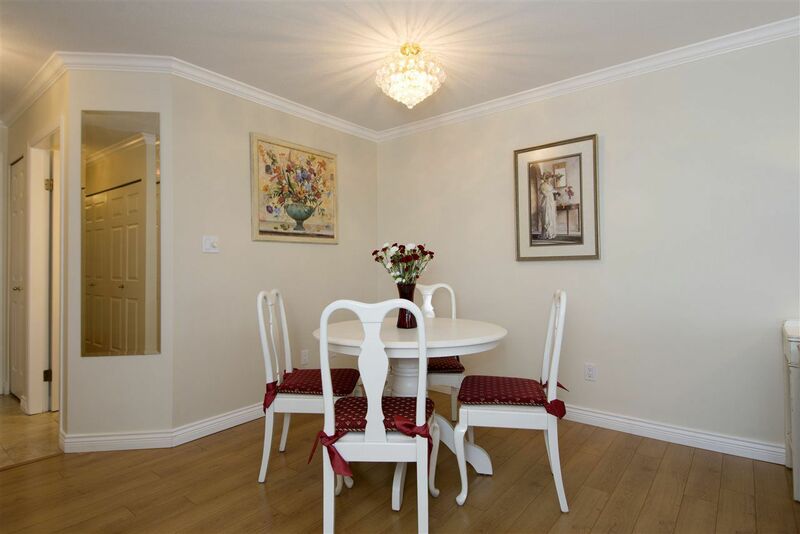 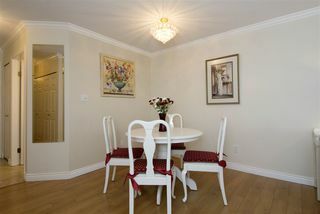 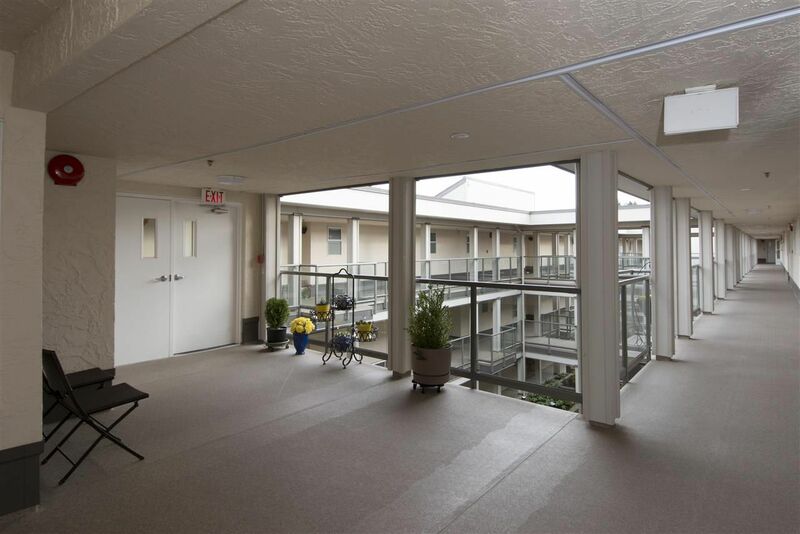 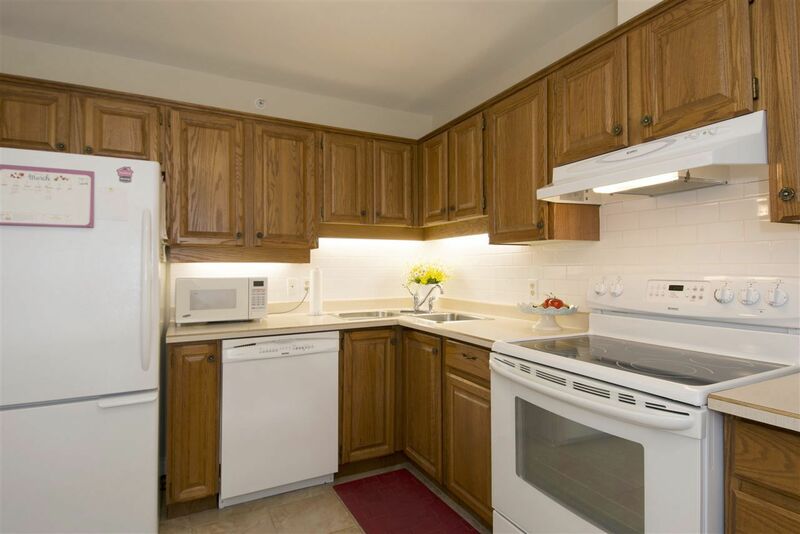 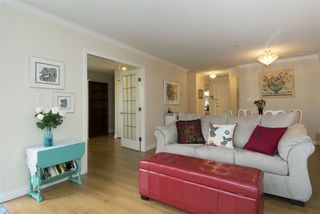 This bright, top floor condo has 1,096 sq feet with 2 bedrooms & 2 full bathrooms. The separate eat-in kitchen faces south into the courtyard. 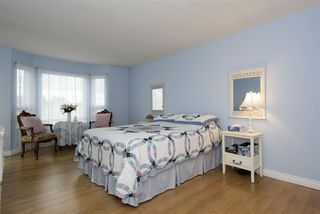 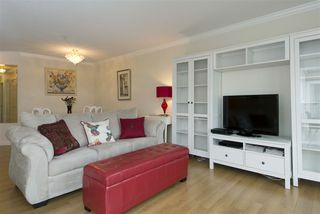 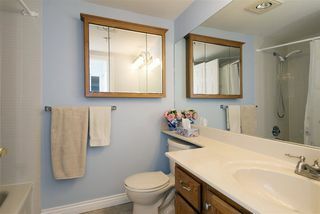 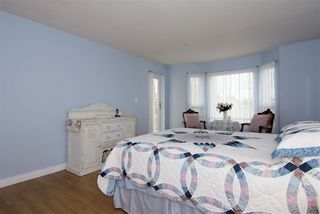 Interior upgrades include flooring, crown moulding, paint & some appliances. 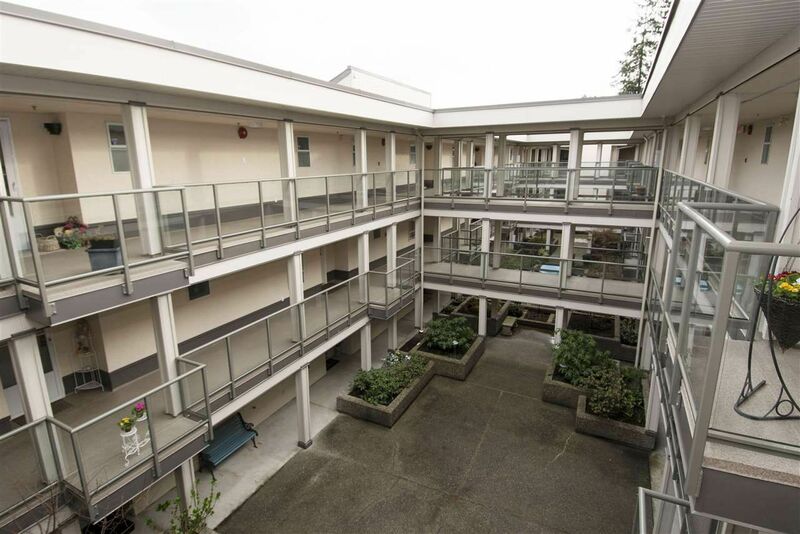 The Courtyard upgrade was completed in 2011 including new roof, rainscreening, windows, doors, balconies, exterior paint; hot water tanks were replaced in 2014 & boilers in 2015. 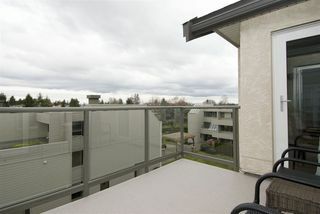 Monthly strata fee includes hot water & radiant heat. 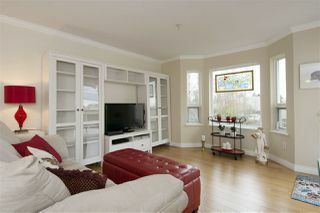 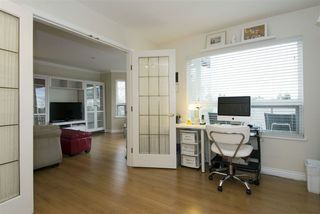 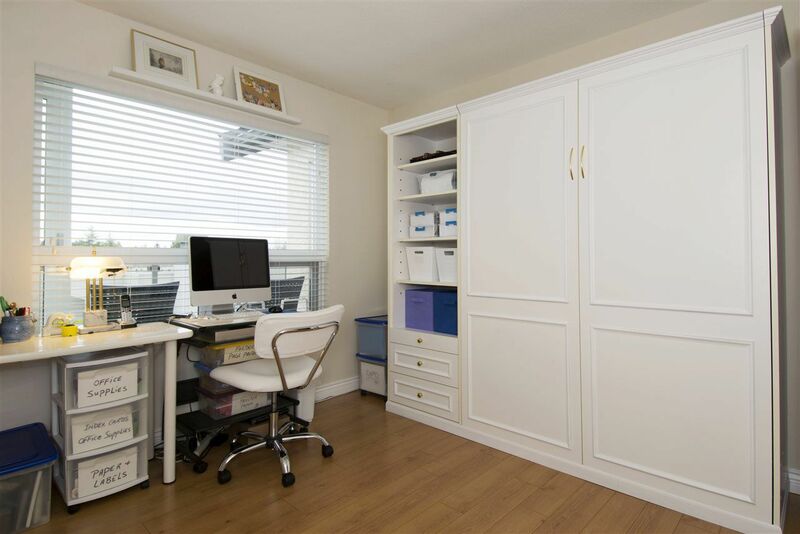 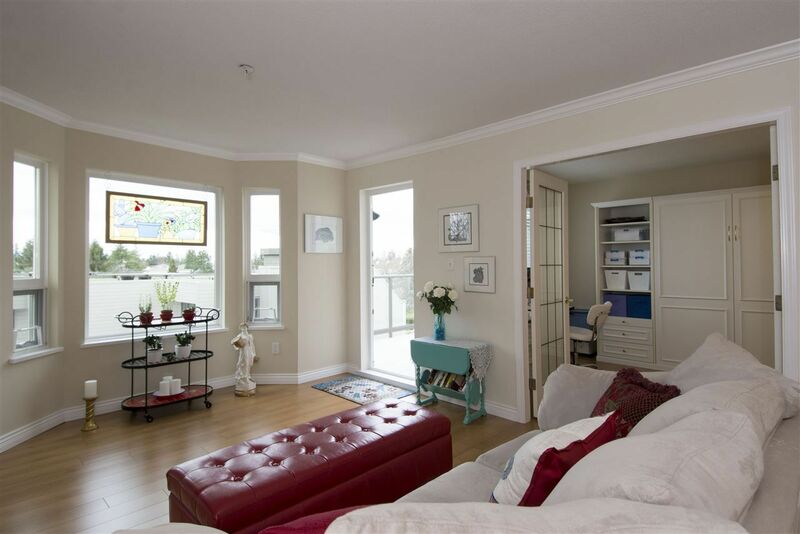 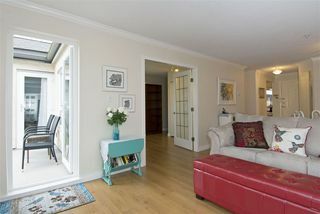 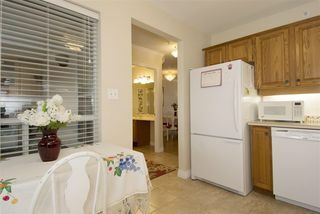 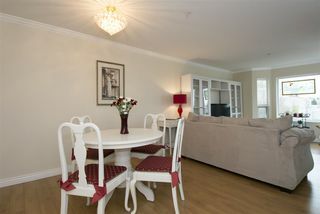 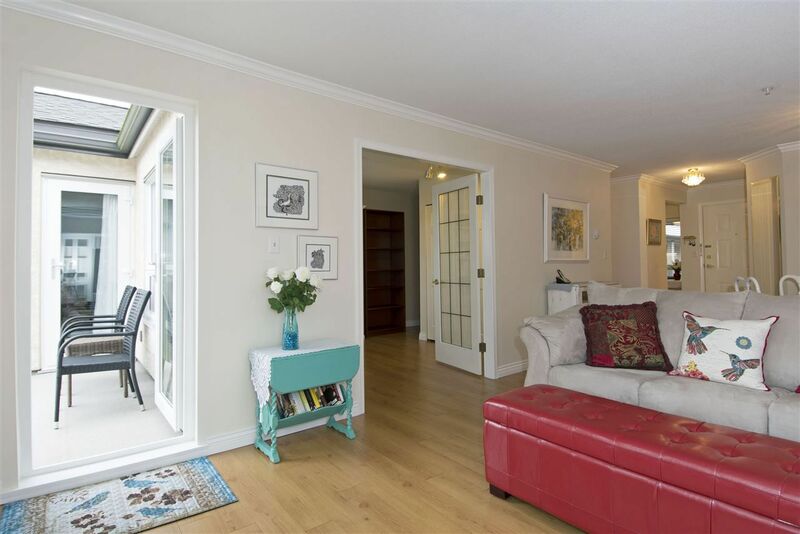 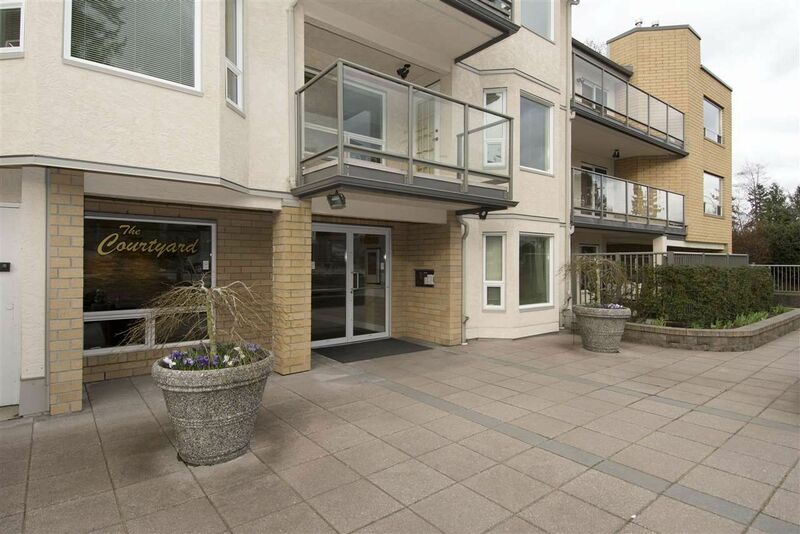 Ideal location; walk to Semiahmoo Mall, library, parks and recreation. 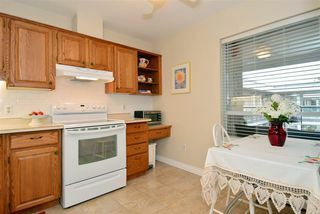 Age 40+, no rentals, 1 pet allowed (dog or cat).